Judge not lest ye be judged... | WOTM Watchdog! Theists have pioneered and championed the use of the bad analogy. I've sat through my fair share of sermons in my lifetime and can still vividly recall some incredibly poor object lessons and analogies that were tossed out from the pulpit. I think I've finally found one that tops the list in none other than our very own Mr. Friel. It isn't so much a "bad" analogy as it is dangerous. Todd prides himself in his ability to field "uncomfortable" biblical questions but he shouldn't sing his own praises too loudly because he only entertains such questions for a short time before shifting gears and imposing the Ten Commandments. He uses this tried and true method of "speaking to the conscience" in order to show his audience that they have sinned before an almighty god and are worthy of spiritual death followed by eternal damnation in a lake of fire. But Todd holds the keys of your heart (as god's servant) and can show you how your soul can be cleansed and Christ can do a transforming work inside of you, securing a place for you in heaven. The best part of the deal is that you don't have to do a thing in exchange for all of this goodness... except die to yourself... and repent of your sins and turn from them... oh, and to plead God's mercy through the death, burial and resurrection of his son, Jesus Christ. Other than that, salvation is completely free! It sounds more like spiritual quid pro quo than a free gift, if you ask me. 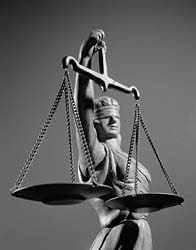 If a criminal guilty of a violent crime appears before a judge in a court of law, the judge will be forced to punish him in order to maintain justice. The judge will not accept pleas for a lessened sentence but will weigh the heftiest fine against him. Unless someone steps in and mercifully pays the fine, justice cannot be met. If the false dichotomy cannot easily be seen, let me shed some light on it for you. To begin with, a sin is supposedly the ultimate affront against a holy and righteous god and is punishable with eternal torment in a place that god created and set aside for those who trespass against his laws. There is no social equivalent to this concept especially not a mere monetary fine! The most imposing punishment one man can levy against another is capital punishment which is a finite punishment. How does infinite suffering at the hands of a wrathful god correlate with momentary physical pain? 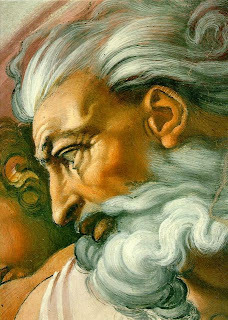 Knowing that a fine is not a viable penalty to be imposed on a criminal guilty of committing the most heinous acts imaginable (under the assumption that god finds all sins equally and eternally offensive) but capital or, at the very least, corporal punishment, we can see that no court in this country would accept a substitute. Once tried and convicted, a criminal must suffer his own fate; his best-friend can't offer himself up to the courts as a sacrifice. That's (ancient) tribal mentality and doesn't appease the modern judicial system. We can then go on to understand that, in a court of law, mercy and justice are not mutually compatible. If a stay of execution is ordered not because of the suspects innocence but on a whim, the Governor has exhibited (unwarranted) mercy. However, if the sodium pentathol is injected into his veins, true justice has been achieved (if one can call it that). If these two terms are mutually compatible, I'd like to know how. Besides, before we go condemning others for their actions in the sight of god, shouldn't we prove his existence first?